Yeah, it's been cold, but hey, it's winter and that's what happens. Looks like things are going to warm up towards the end of the week so it should be a great couple of days out on the ice. We're inching closer to open water season everyday, but it's still aways out yet and there are plenty of great ice fishing opportunities coming up. We've been getting calls from both long time clients and new customers ready to book their trips with Anglers All for the upcoming Smallmouth season. 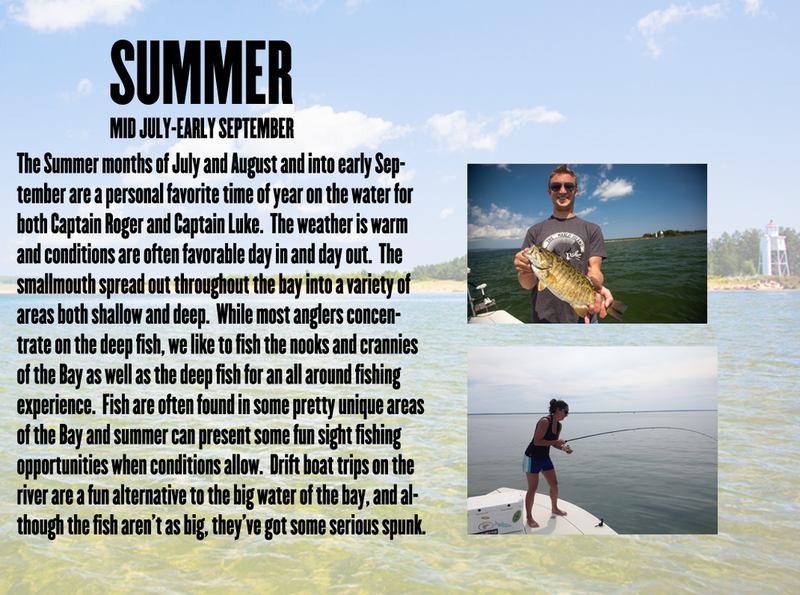 It's the season we look forward to the most around here and every year have a great time with our clients from both near and far as we share the experience of our Lake Superior smallmouth bass fishery. If you've never had a chance to fish Lake Superior on light tackle or with a fly rod, give us a shout (715-682-5754) and we'd be happy to set up a trip. If you've never been to the Ashland area, Chequamegon Bay or the Apostle Islands, check out the Ashland Chamber of Commerce www.visitashland.com for information about area lodging or other activities.